These little matching heart sweaters make my heart sing! They come in 5 different colors and are so sweet! 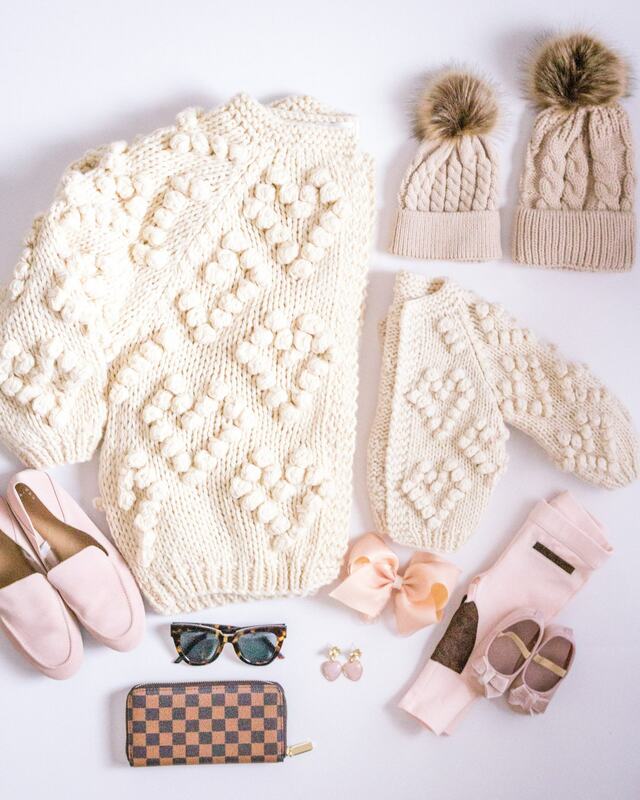 I paired it with our favorite pom pom matching hats and some blush accessories! Charleston and I will be wearing this sweet outfit all Winter!